Chef Jeannine Carney describes her cuisine as "contemporary regional New England" and her culinary philosophy is to use as much of the local home- grown produce and ingredients as possible. Her menu changes often, and she prepares all requests to order, keeping the dishes fairly simple and reflecting the various New England seasons. Chef Jeannine has also been named Best Chef by Arrington’s Inn Traveler Magazine in 2004 and also won the award in 2005 for “ Best Evening Cuisine”. She is a graduate of New Hampshire College’s Culinary program and a former instructor at New England Culinary Institute in Montpelier, Vermont. 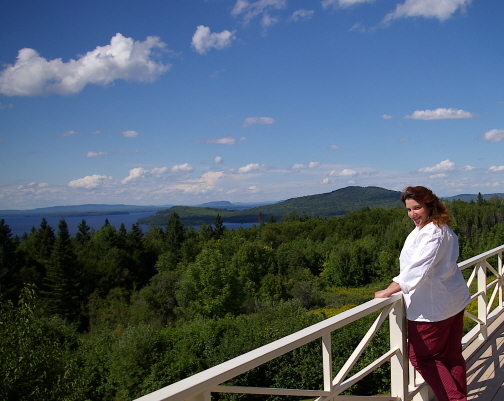 She was executive chef at The Franconia Inn, Colby Hill Inn, and The Lodge at Moosehead Lake. Now a corporate chef, Jeannine enjoys her free time performing music in various projects and running WickedChef Productions.